The QWERTY keyboard has been around so long that most people just take it for granted. But, as it turns out, many alternate layouts have been developed over the years. A layout refers to the arrangement of the keys on a keyboard. If you’ve only used basic, non-programmable keyboards you’ve probably never given much thought to your keyboard’s layout before as those layouts are static. Key positions are determined by the manufacturer and it’s up to your fingers to adjust to the layout. Alternate layouts typically have two goals, which often go hand-in-hand: 1) make the typing experience more comfortable and natural 2) make typing faster. Dvorak, Colemak, and Workman are three of the most popular alternate layouts. The QWERTY keyboard layout has been the standard keyboard layout dating back to the time of typewriters. 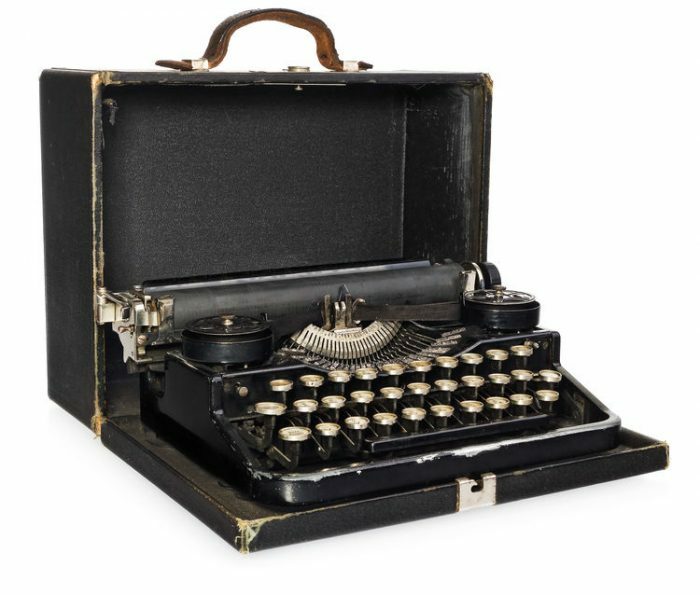 The 100+ year QWERTY layout was originally designed for a mechanical typewriter with the goal of reducing the frequency of key mechanisms jamming during typing. That meant physically spacing out the most commonly used letters so they weren’t hit consecutively by the typist. However, in the digital age, spacing out the most common letters makes typing highly inefficient as fingers are forced to traverse the keyboard to reach the most frequently used keys. The Dvorak layout was developed and patented in 1936 by Dr. August Dvorak. Dr. Dvorak recognized only 32% of typing was done on the home row keys of a QWERTY keyboard. His objective was to create an alternate layout to reduce the finger movement associated with typing to increase speeds and decrease errors. With the Dvorak layout, 70% of typing is done on the home row. The Dvorak layout only shares two common letter positions with QWERTY, A and M, so it can be more challenging to master. The Colemak keyboard layout was developed much more recently but it is quickly attracting converts. Unlike Dr. Dvorak, who designed his layout from scratch, the developers of Colemak sought to take the existing QWERTY and make small improvements to address its weaknesses, while retaining some familiar key positions making it easier to learn. Like Dvorak, the goal was to put the most commonly used letters in the home row but to prioritize keeping keys on the same side of the keyboard with only two keys changing hands: P and E. With the Colemak layout, 74% of typing is done on the home row. 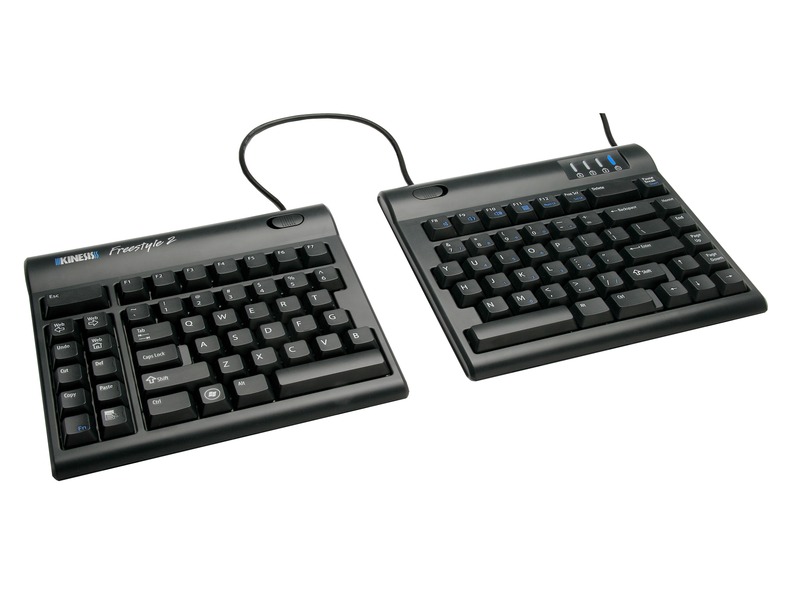 The Workman keyboard layout was developed even more recently with a particular emphasis on software programming. The Workman layout was designed to address one of the most frequent criticisms of Colemak i.e. the relative placement of the H and E keys resulting in an awkward posture when typing the very common combination of “H-E”. “H-E” is the 2nd most common bigram in English and the impact of this shortcoming in Colemak has massive implications. The objective of the Workman layout was to position the most commonly used letters within the natural range of motion of the fingers, rather than exclusively the home row, which is pretty intuitive. For a more detailed discussion of the Workman layout, click here. 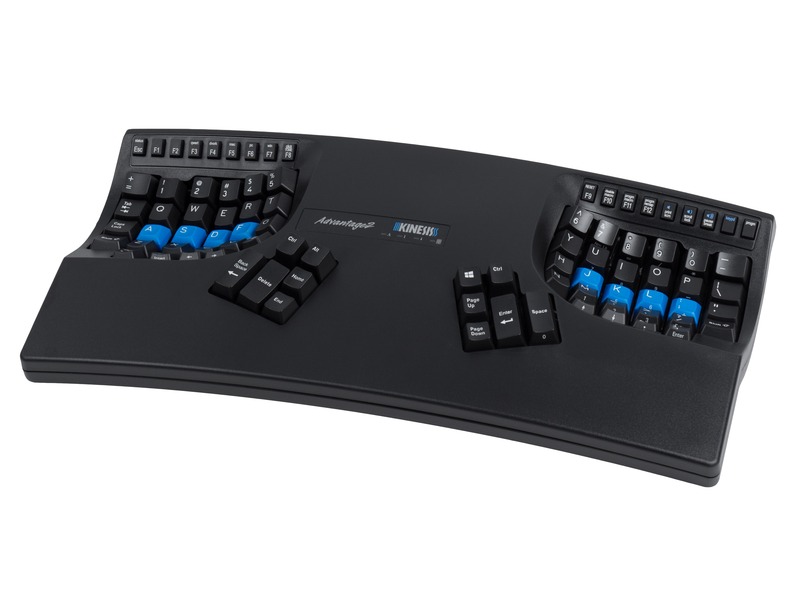 Kinesis does not necessarily encourage users to change to Dvorak, Colemak or Workman. That’s a very personal decision based on how comfortable you are with QWERTY and what your objectives are: speed or comfort. There is no one perfect layout and ultimately the decision to switch to an alternate layout depends on your typing style, workflow, objectives, and of course, any physical limitations or pain you may be experiencing. 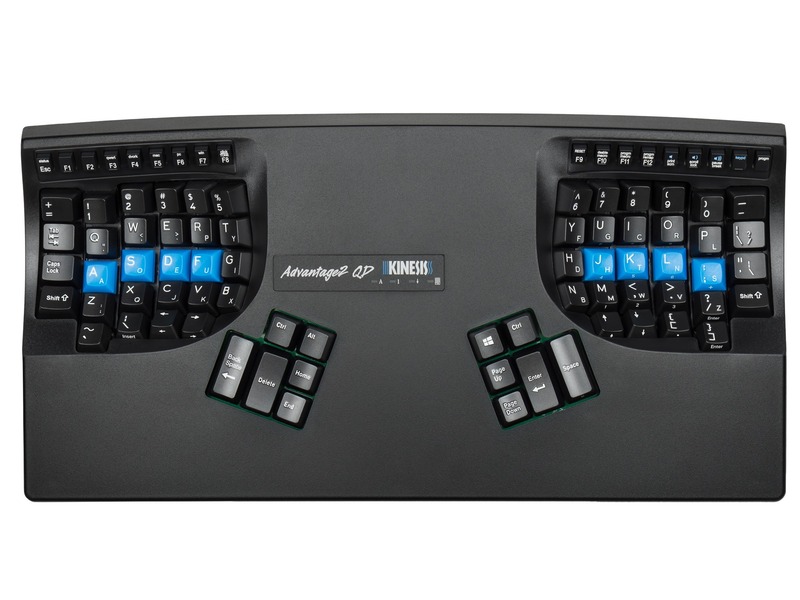 At Kinesis we believe in building highly adaptable keyboards, allowing the user to experiment and customize which are the hallmarks of any good ergonomic device. 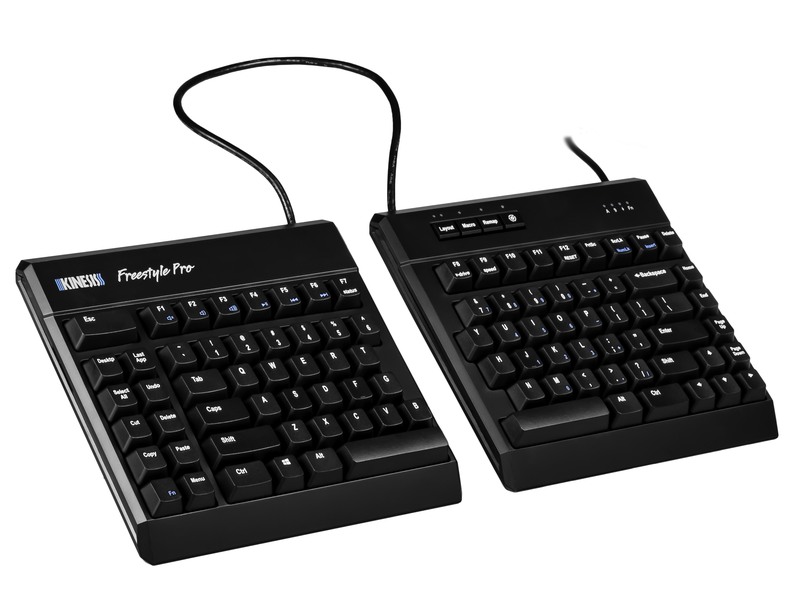 The Advantage2 and Freestyle Pro family of keyboards both support native Dvorak and can be quickly programmed with the SmartSet App to support Colemak, Workman and any other layout you can think of. Because these custom layouts are created on the keyboard itself, and not in the operating system, it’s easy to make small optimization changes for your preferences. But it doesn’t end there, with SmartSet you can take those alternate layouts and rearrange any key action to create a truly custom layout optimized for your body, typing style, and workflow. 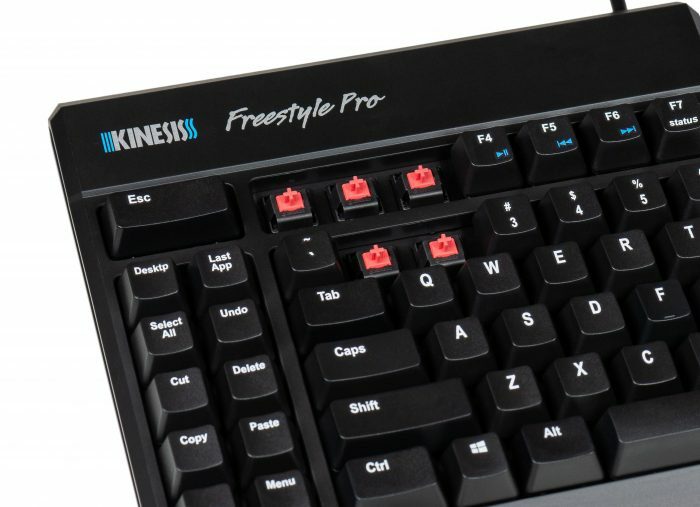 On the Freestyle Pro, all keycaps are the same height and shape so standard 1×1 keycaps can be easily rearranged to suit your custom layout. On the Advantage2 each keycap is uniquely shaped to create the satisfying contoured shape of the keywell. As a result, it’s not possible to simply rearrange the keycaps. To address this issue, Kinesis offers two stand-alone keycap sets which can be installed on any Advantage2 keyboard: a Blank Set and a Dvorak Set. 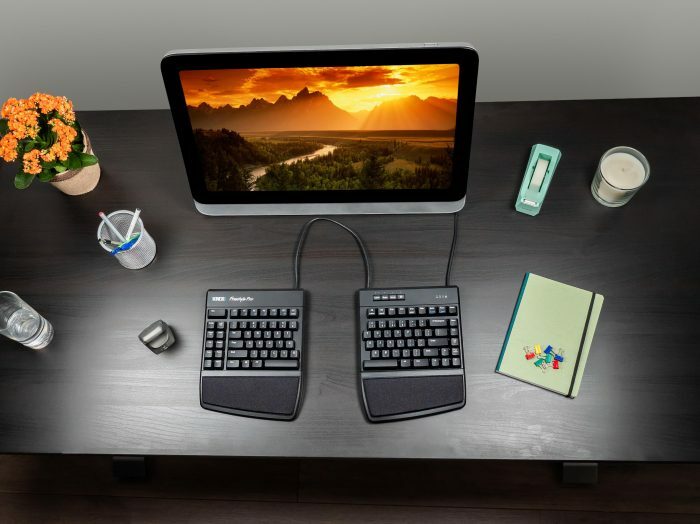 For Dvorak-learners, the Advantage2 QD keyboard has dual-legend keycaps indicating both the QWERTY and Dvorak key actions for each key and making it easy to learn without having to make a full commitment.